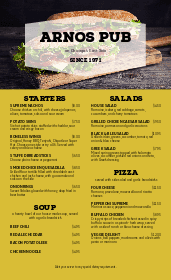 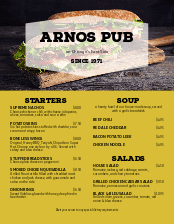 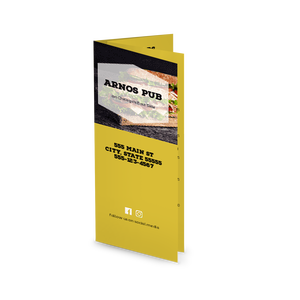 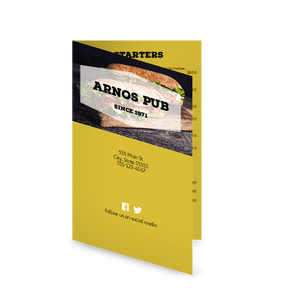 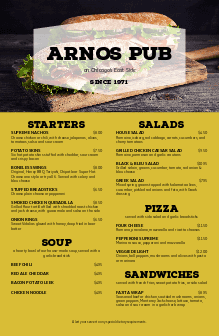 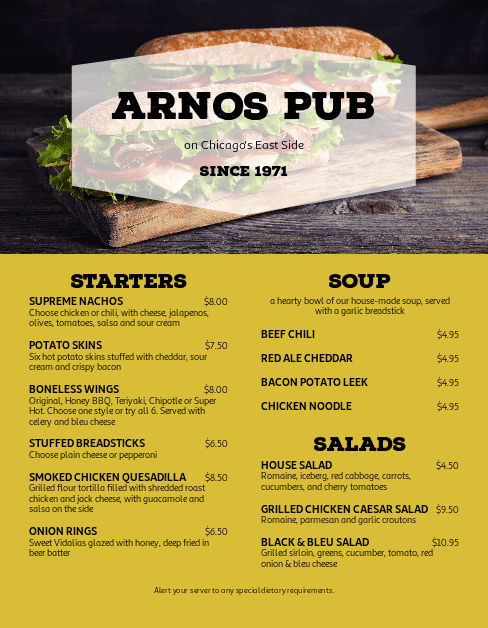 A modern menu with bold fonts and a mustard background to make your pub fare stand out. 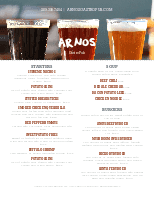 List drinks and dishes for your pub, bar, or restaurant using the Pub Grill Menu template. 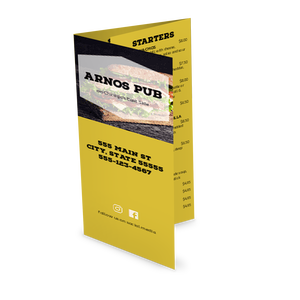 Choose from pub photos included as design accents or add your own food photos using the online Menu Maker.